The average daily inmate population level in 2017 was 1085 inmates. The Sheriff’s Office continues to strive to reduce the inmate population with innovative and proactive inmate release programs. These programs include court-sponsored pretrial releases and community-based work programs which are coordinated through the Sheriff’s Office. The facility includes housing units for inmates with special needs. These units help treat those inmates with special needs who cannot, or should not, be housed in general population. These units are staffed with Mental Health workers and Sheriff’s Deputies who have received specialized Crisis Intervention Training. Designed as one of the first direct-supervision detention facilities in the nation, the Washoe County Detention Facility has become a model facility for jails in the United States. The detention facility is routinely used as an example for other governmental agencies that are planning to construct new jails. Additionally, due to the proximity of the National Judicial College on the campus of the University of Nevada, Reno, the facility functions as a stop for judges throughout the world. The facility has also served as host to governmental and social dignitaries from around the world. The Washoe County Sheriff's Office has zero tolerance toward all forms of sexual abuse and sexual harassment (28 CFR 115.111). The Office will not tolerate retaliation against any person who reports sexual abuse or sexual harassment or who cooperates with a sexual abuse or sexual harassment investigation. 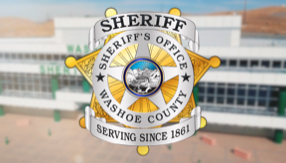 The Washoe County Sheriff's Office will take immediate action to protect prisoners who are reasonably believed to be subject to a substantial risk of imminent sexual abuse (28 CFR 115.162).